Thermostatic controls and programmers allow you to control the temperature and times you require your heating and hot water. 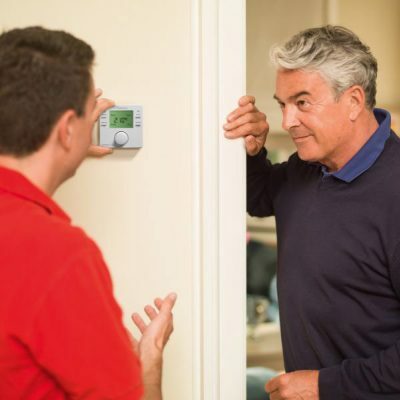 Having complete control over your central heating and hot water system can not only keep your home at a comfortable temperature but can also lower your energy bills. Gas Mark 1 are experts in the latest innovations in Smart technology within the heating industry, meaning we are perfectly equipped to install a system tailored to your exact needs. Central heating controls are simple to use and are very important as they can make your boiler work to it's maximum efficiency, helping to lower your monthly heating bills. These controls range from on/off timers, thermostatic radiator valves (TRVs), room thermostats to self-learning weather-compensating internet-controlled smart thermostats. Smart thermostat controls are a simple-to-use advanced programming thermostat that allow you to manage your heating controls remotely from a computer, smart phone or tablet – all you require is the internet. 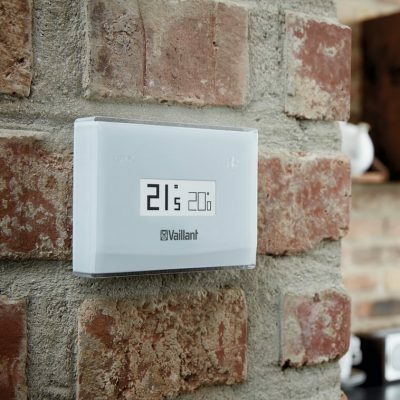 Gas Mark 1 have the expertise to install the popular brands of the most innovative smart heating controls on the market, including Vaillant, Honeywell, Drayton, and Worcester. There are a wide range of smart thermostats on the market with varying features and different levels of sophistication. Smart thermostats allow you to control your heating and hot water by simply using any device connected to the internet. You can alter the temperature, set up programs and modify them if your schedule changes all through the app. Alter the temperature of individual rooms, meaning you can keep the living room cozy in the evening, while turning the temperature down or off in rooms you're not using. Have the capability to learn your preferred temperatures and routine so that they work out what time you leave and come home from work. Detects when you leave and when you're on your way back home through your phone's GPS and motion sensing. This means that your house will be at the desired temperature when you come through the door. Smart thermostats with a weather-compensating function adjust the internal temperature according to the predicted weather forecast and the outside temperature. For more information on the different thermostats and controls we can install in your home please contact us on 01923 231780.